Imagine the warm feelings your neighbors or customers will feel when they see your personalized holiday greeting on their way home from work this Christmas season! 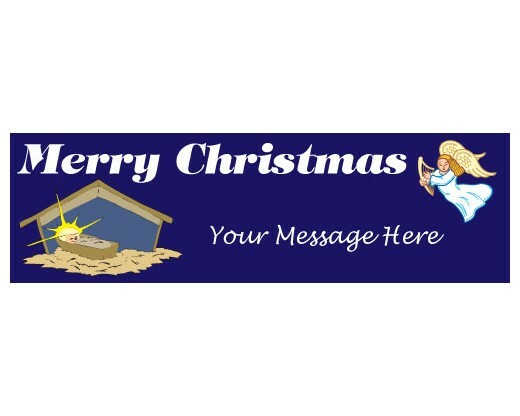 Each banner has a full color, eye catching design to draw them in but has space for your message. 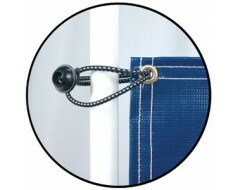 Brass grommets for tying between trees, to your porch railing or to a sign post. When you take it in, just roll it up for easy storage. All customized orders will get an artwork proof for approval before production begins. Please watch your email. Call 1-888-697-3524 to place a rush order or inquire about other quantities or sizes. 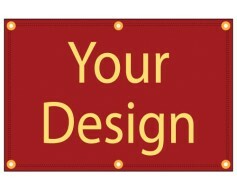 We can also help with your new custom banners.